First, you’ll need to enable Canned Responses in Gmail. It’s a bit of a mystery why such a useful feature isn’t enabled by default. 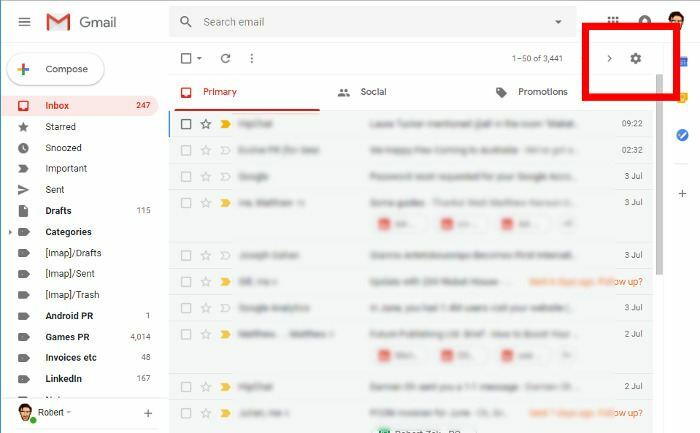 To enable Canned Responses, click the cog icon at the top-right corner of your Gmail inbox. 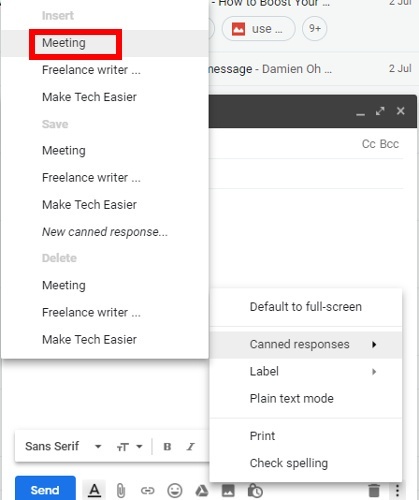 From now on, when composing a new email, you can click the three-dotted menu icon in the “New Message” box, and “Canned responses” will appear as an option. Hover over that, and you’ll see options to Insert, Delete and Save your canned responses. To create a new canned response (or auto-reply template, as the case may be), ignore the “Canned response” setting for now. Just write what you want to say in your auto-reply into the body of the New Message box. Now, the next time you go to the Canned Responses menu in the New Message box, you’ll see your new auto-reply appear as an option. 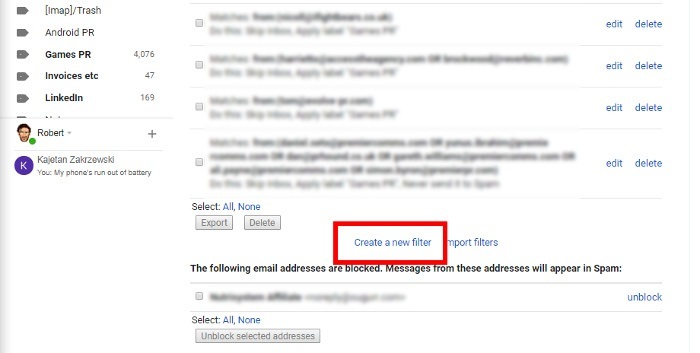 If you want to add it to the email, just click it under the “Insert” heading. 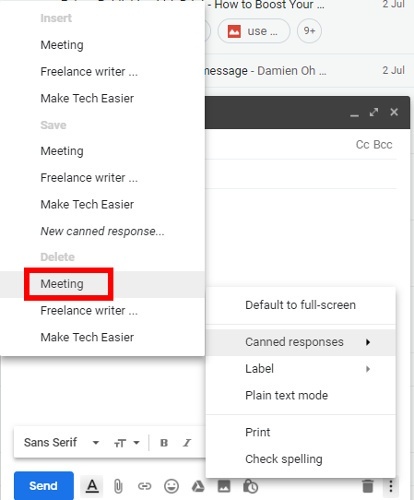 If you want to edit your canned response, first open it under the “Insert” heading, make your changes, then go back to the canned responses menu and click it under the “Save” heading. Press OK when asked to confirm the overwrite. To delete a canned response, open the Canned Responses menu and select it under the “Delete” heading. Now it’s time to turn these canned responses into full-on auto-replies. 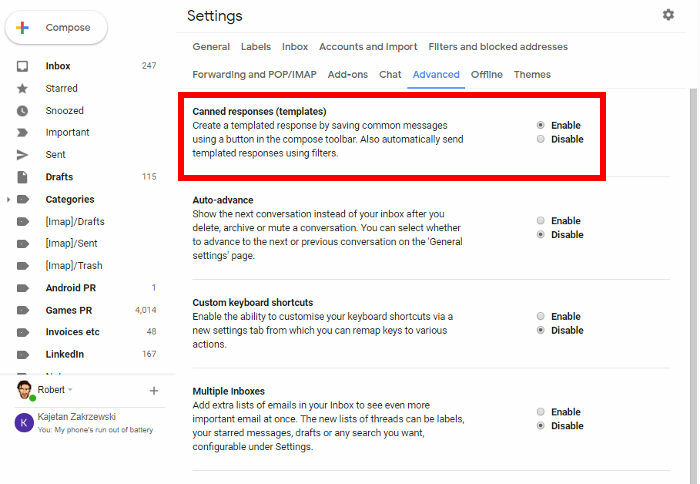 Click the cog icon in Gmail, then Settings. 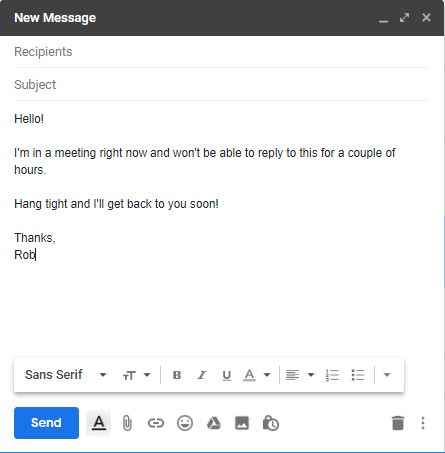 In the next box select your criteria for an auto-reply – whether it’s when you receive emails from specific addresses, emails that include the word “work,” or emails with specific things written in the “Subject” line. 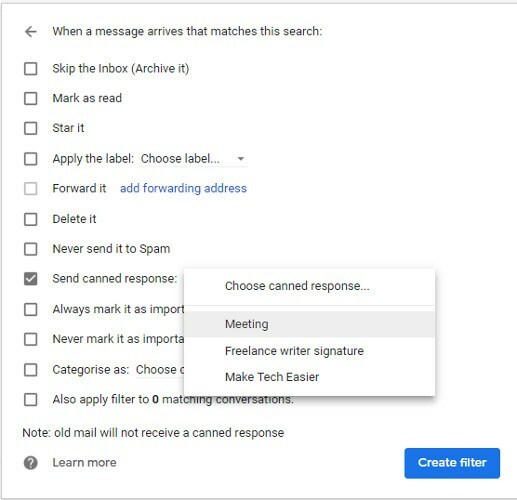 When you’re done, click “Create filter,” then in the next box tick the “Send canned response” box, and choose the canned response you want to send. 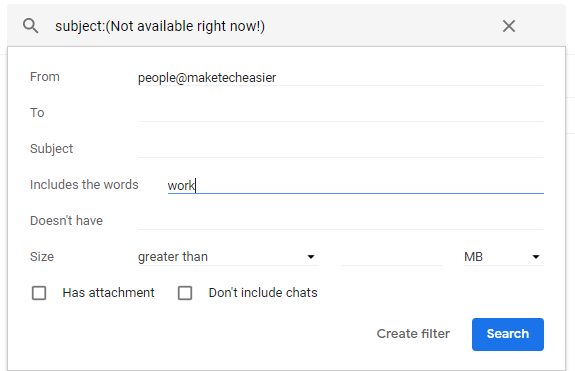 When you’re ready, click “Create filter” again, and you’re good to go!